Try before you buy. It’s a mantra that’s been around as long as currency and it’s still good advice today, especially when you’re considering buying a vehicle. Most of us would never purchase a car without taking it for a test drive: you get a sense of how it feels behind the wheel, how it handles on the road and how well it responds. 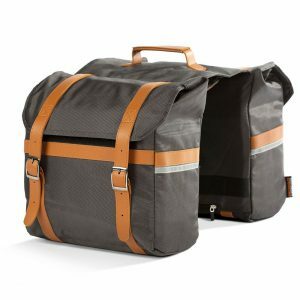 The same thing goes for electric bikes: at the very least we recommend taking a bike for a spin around the block before you buy. And the good news is all Pedego electric bike dealers in Canada offer free short-term test drives. 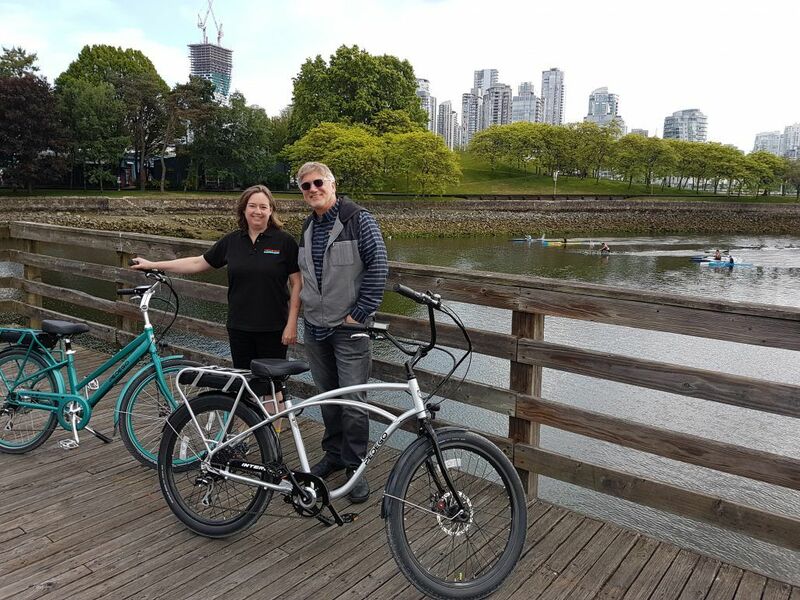 Not only can you rent electric bikes at Pedego Victoria, located in the capital city of British Columbia, on Vancouver Island, you can also enjoy scenic tours. Contact Charles Turner at the store for more info. There’s a reason Vancouver, British Columbia has one of the most vibrant bicycle cultures in North America. With its huge bike path network, mild weather and beautiful views wherever you turn, the largest city in Western Canada is perfect for electric bike riding. 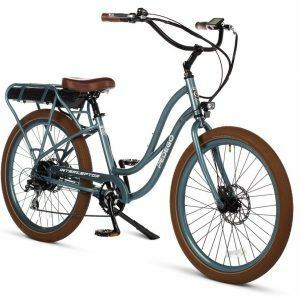 Drop by Pedego Vancouver to rent North America’s favourite electric bicycle for full or half days. The best way to visit all the lakes and beaches and to go on wine tours is on an electric bike. 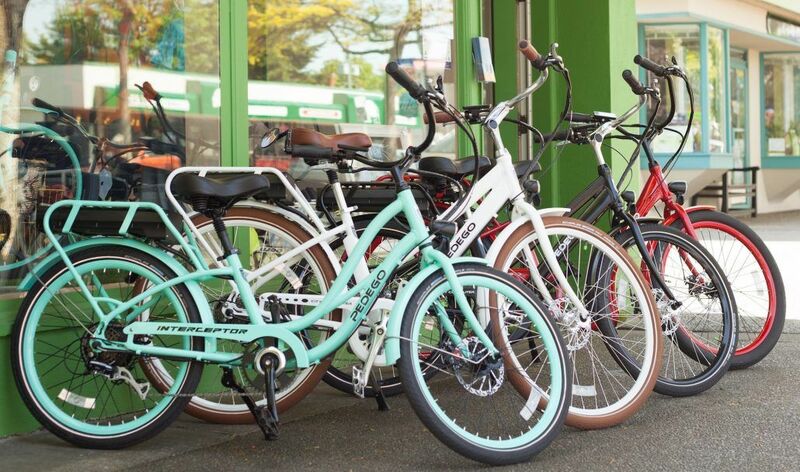 Pedego Oyama offers rentals of electric bikes for locals and tourists alike so you can explore the sites of this beautiful area of British Columbia without having to worry about parking or breaking a sweat! 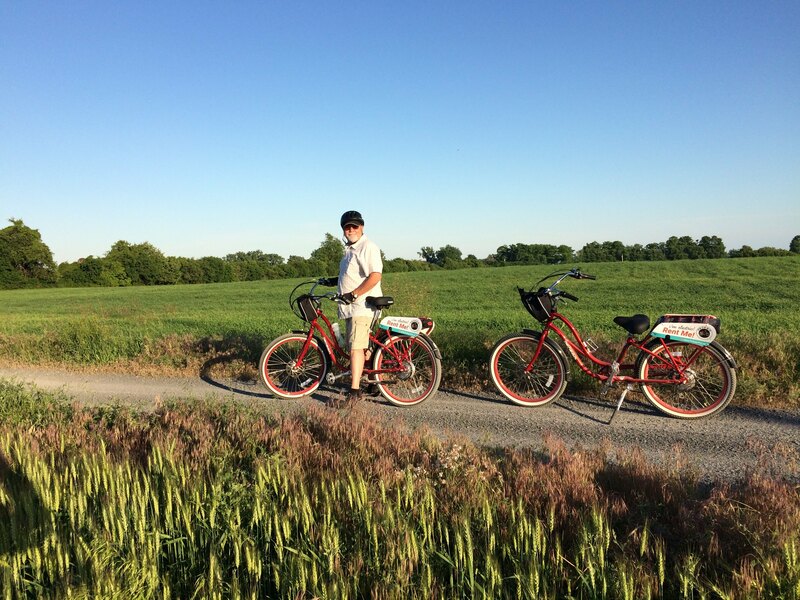 What better way to explore the largest city in the Prairies than via an electric bicycle? 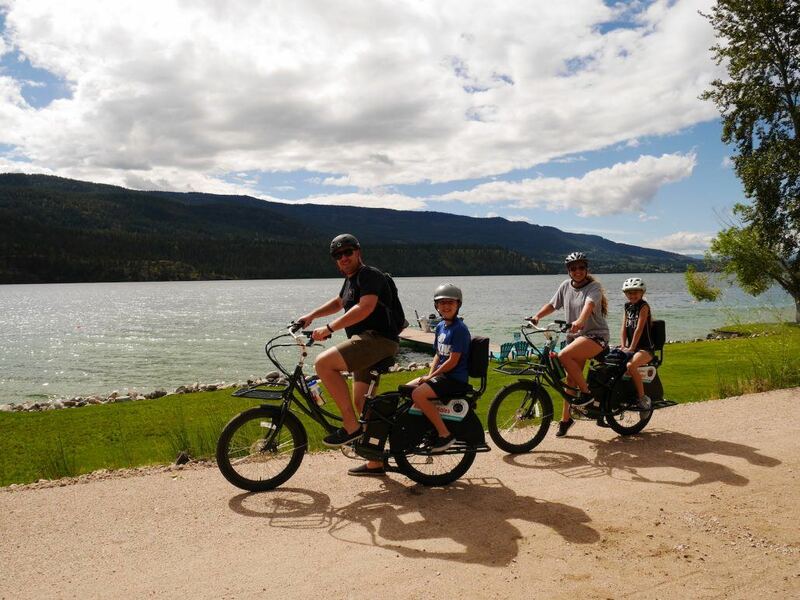 You can easily rent a Pedego electric bike and cruise the many bike paths, including the popular Bow Valley Pathway and visit all the sites, from the Calgary Tower to Canada’s Sports Hall of Fame at Canada Olympic Park. It’s all fun on a Pedego! Located just west of the City of Peterborough, the Kawartha Lakes area boasts numerous provincial parks and conservation areas, dozens of large lakes and innumerable smaller ones. Because of the many beaches, forests, orchards, heritage towns, quiet roads and laneways an electric bike is the perfect way to see all the sites (and zoom up the occasional hill.) Pedego Kawartha Lakes offers hourly and day-long rentals available as well as long-term rental pricing. Store Hours: Open 6 days 10-5. Closed Tuesdays. Prince Edward County is one of the most beautiful areas in Ontario and a paradise for electric bike riders. Located just West of the city of Kingston on a peninsula that reaches out into Lake Ontario, Prince Edward County boasts sandy beaches, quiet country roads, dramatic vistas, quaint towns with 19th century architecture, apple orchards and vineyards. 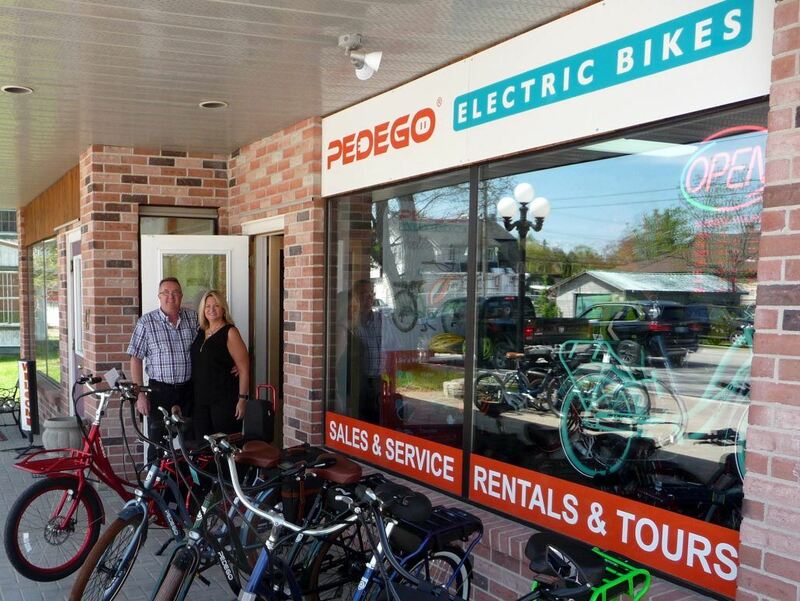 And Pedego Prince Edward County boasts electric bike rentals to help you see all the sites. 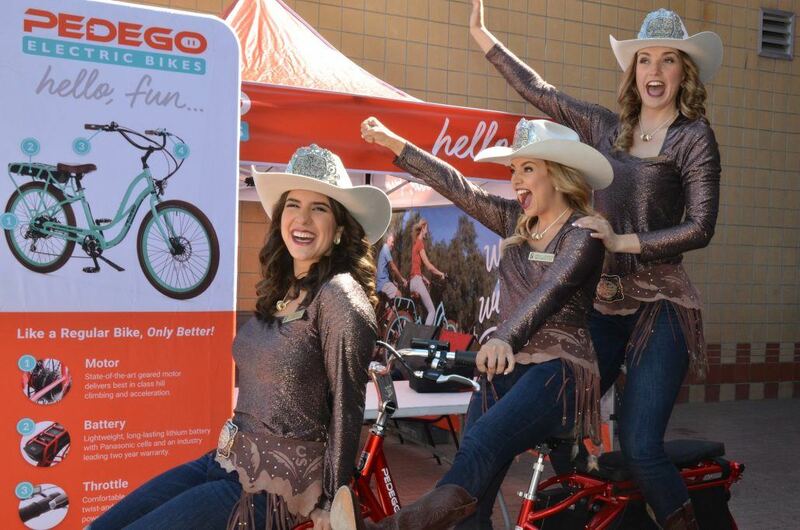 To learn more about Pedego Canada electric bikes visit any one of the businesses above or drop us a line anytime by calling 1-888-777-2066 or emailing info@pedegocanada.ca.